China's domestic tourism revenue gained 513.9 billion yuan (about 76.21 billion U.S. dollars) during the week-long Spring Festival holiday that ends Sunday, an annual increase of 8.2 percent, according to the Ministry of Culture and Tourism. A total of 415 million trips were made across the country during the holiday, rising by 7.6 percent year on year, according to the ministry. Traditional culture was one of the travelers' favorites during the holiday, as a survey by an institution under the ministry showed that about 40 percent of the travelers had visited museums on their trips. 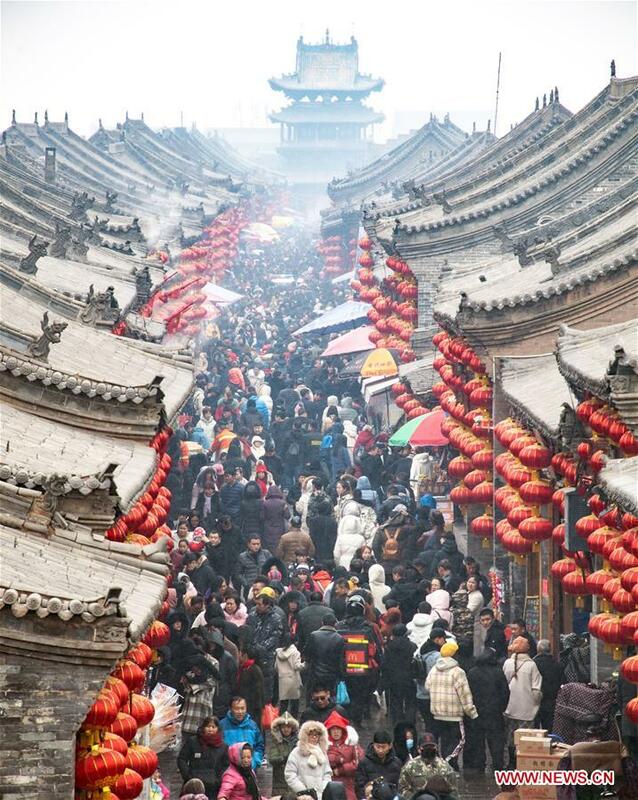 During the Spring Festival holiday last year, 386 million trips were made domestically, contributing to an increase of 475 billion yuan in China's travel revenue. ​China's domestic tourism revenue gained 513.9 billion yuan (about 76.21 billion U.S. dollars) during the week-long Spring Festival holiday that ends Sunday, an annual increase of 8.2 percent, according to the Ministry of Culture and Tourism.